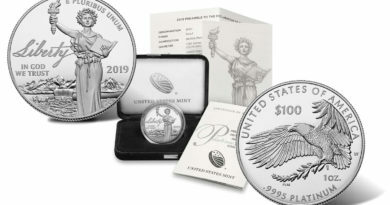 The overall price of producing U.S. circulating coins fell for a fifth straight year even as the cost of making cents and nickels remained above their face values for an eleventh year in a row, the United States Mint disclosed in its recently published 2016 Annual Report. The unit cost to produce, administer and distribute the 1-cent coin totaled 1.50 cents compared to 1.43 cents from a year earlier. Lower metal prices helped the 5-cent coin with its unit cost easing to 6.32 cents from 7.44 cents in 2015, as did its year-over-year production climb of more than 7%. “By keeping indirect costs down while meeting increased demand, fixed costs were spread among more units,” the Mint’s annual report said. “Compared to last year, FY 2016 average spot prices for nickel decreased 30.9 percent to $9,264.43 per tonne, average copper prices fell 19.6 percent to $4,766.68, and average zinc prices decreased 10.4 percent to $1,868.28,” it added. Lincoln cents are composed from 2.5% copper with the balance zinc while 5-cent coins are made from 25% nickel with the balance copper. Obviously, metallic coin compositions are always key cost drivers. The U.S. Mint has studied alternative alloys in an effort to cut costs but viable solutions have proven elusive. The U.S. Mint made money on dimes and quarters with their respective unit costs at 3.08 cents and 7.63 cents. These compare to their FY 2015 amounts of 3.54 cents and 8.44 cents. The two smallest U.S. coins have lost money since 2006. 2.482 billion quarters, down 6.2% from the previous year. The four denominations combined to 16.308 billion coins, marking a 1% increase over the 16.151 billion coins delivered in FY 2015. The Fed pays face value for each coin they receive, with the Mint resultantly realizing FY 2016 circulating revenue of $1.1042 billion. After subtracting the year’s cost to produce all four coins, which totaled $525.5 million, the U.S. Mint’s circulating profit or seigniorage reached $578.7 million for a 7% increase over the previous year. 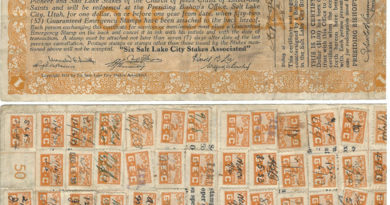 The resulting seigniorage per dollar issued reached $0.52, exceeding the prior year’s $0.49. 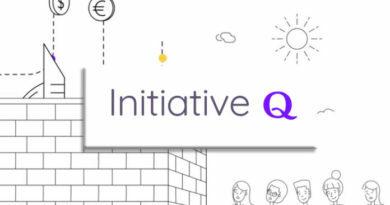 Initiative Q | The Next BitCoin?